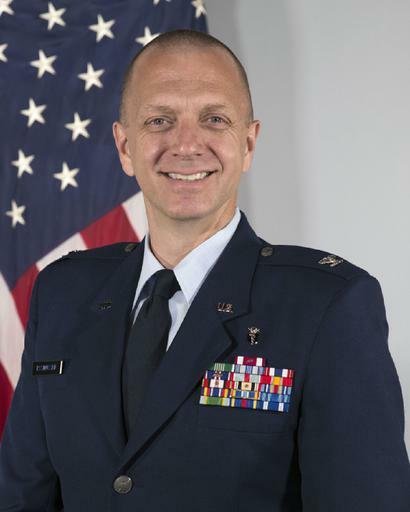 Colonel Todd Rasmussen completed his medical degree at Mayo Medical School in 1993 and surgical training at Wilford Hall Medical Center on Lackland Air Force Base in 1999. He returned to Mayo for vascular surgery training in 1999 after which he was assigned to the National Capital Area just before 9/11/2001. Soon after, he began caring for injured returning from Afghanistan at Walter Reed Army Medical Center. In 2004 Colonel Rasmussen returned to San Antonio and deployed to Operation Iraqi Freedom at the Air Force Theater Hospital on Balad Air Base. Following this he initiated a vascular injury and hemorrhage control research and innovation program. He’s completed tours as a surgeon at Balad Air Base, Iraq, Bagram Air Base, Afghanistan and at the Afghan National Army Hospital in Kabul. Colonel Rasmussen has led surgical training missions in Morocco, Pakistan and Russia and his research efforts have resulted in 130 publications, 25 book chapters, 2 textbooks and 4 patents. In 2012 he gave a TED talk on the transformation of military trauma care and its impact on medicine. Colonel Rasmussen served as Deputy Commander of the Institute of Surgical Research from 2010 to 2013 and then moved to direct the larger DoD Combat Casualty Care Research Program at Fort Detrick, Maryland.His awards include the Gold Headed Cane for distinction in clinical and academic practice, the Baron Dominique Jean Larrey for Excellence in Military Surgery and in 2015 he was recognized as a Hero in Military Medicine by the Center for Public-Private Partnerships.